SEOUL -- In a bid to open a new era of peace and co-prosperity around the Korean peninsula, South Korean President Moon Jae-in proposed a Northeast Asian railroad community involving the two Koreas, the United States and four other countries that will lead to a regional energy and economic bloc. 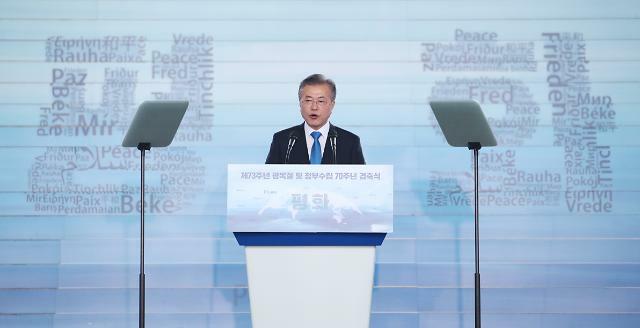 Moon's proposal, contained in a speech marking Korea's liberation from Japan's 1910-45 colonial rule on Wednesday, underlined his broad initiative to establish an economic community in Northeast Asia. At a forum in Russia's far eastern city of Vladivostok in September last year, he called for the creation of a Northeast Asia power grid that would also encompass Japan, China and Russia. The two Korean can see true liberation if they establish a lasting peace and economic community, Moon said. "Even though a political unification may be a long way from here, establishing peace between the South and the North and freely visiting each other, and forming a joint economic community is true liberation." 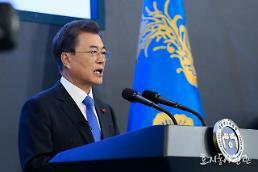 Moon suggested the railway community involving the two Koreas, the U.S., China, Japan, Russia and Mongolia would help expand economic cooperation beyond the Korean peninsula to the northern continent and lay the foundation for co-existence and prosperity in Northeast Asia. "This community will lead to an energy and economic bloc in Northeast Asia," the president said, outlining his goal to start work on reconnecting cross-border railways and roads as agreed between him and North Korean leader Kim Jong-un who will have their third meeting in Pyongyang in September. 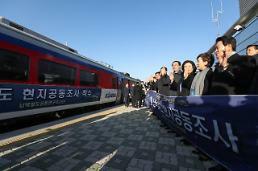 At the first summit in April, the two Koreas agreed to connect and modernize railways and roads. However, South Korean officials have cautioned that full inter-Korean cooperation would depend on progress in negotiations between Pyongyang and Washington on denuclearization. To spur inter-Korean cooperation, Moon stressed that Washington and Pyongyang should step up efforts to achieve complete denuclearization. "Economic cooperation can really take off when peace is established on the Korean Peninsula, along with its complete denuclearization. Our economy may take a new leap when we realize the goal of forming a peaceful economic community," he said. The two Koreas opened an inter-Korean industrial zone in Kaesong just north of the border in December 2004 as well as cross-border roads and rail tracks. 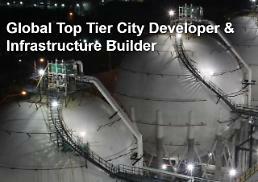 Seoul shut down the industrial park in 2016 in retaliation for the North's ballistic missile and nuclear tests. Reopening a cross-border route for traffic of men, vehicles and trains has been a favorite topic at previous inter-Korean talks. In preparation for unification of the divided peninsula, South Korea has gradually rebuilt and upgraded the southern section of disconnected railways and roads.